Shouldn’t every dog and its owner sometimes have the liberty to walk off leash? 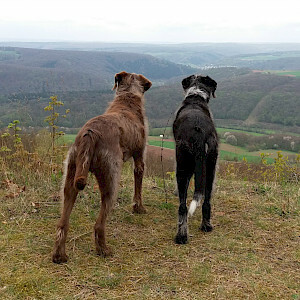 Individual dog training for the area Neustadt / Aisch, Erlangen, Fürth and Nuremberg or directly at your home. 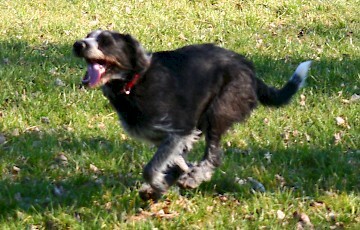 You have to start young in order to learn well, visit my puppy and teenage dog training sessions. 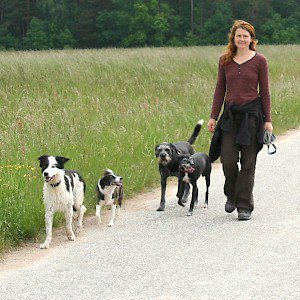 But better late than never in a training of your adult dog in one-to-one dog training, dog obedience groups and intensive weekend courses. 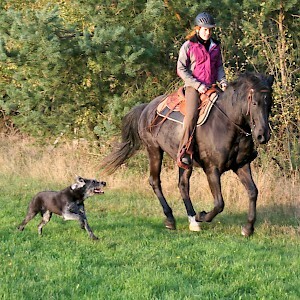 The training will be tailored on needs and skills of the owner-horse-dog-team. You want to take your dog to come along horse riding and are looking for support. Or you already take him and want to improve something. In my small dog recreation classes with a maximum of 6 dogs, fun for dog and owner is the main objective! 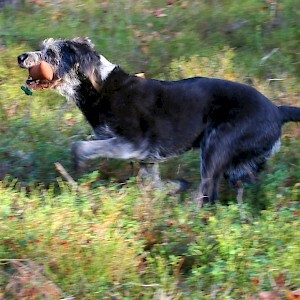 Tracking work, scent games, etc.